Wintertime blues, holiday depression, stressed out? All of these conditions can be greatly benefited by St. John’s Wort, Hypericum Perforatum. St. John’s is an old established medicinal plant. It is anti-inflammatory, anti-microbial, a vulnerary and a wonderful nervine. In the form of a salve, it is highly beneficial for wounds, burns, or arthritic pain. Rub it into the affected area for relief. The antidepressant or nervine benefits of St. John’ major alkaloid “hypericin” has been much talked about in the herbal community over the last 20 years. Not only are herbalists using it to treat “the blues” it’s benefits are being considered by some doctors in the allopathic community. Unfortunately, it will take years of research and double-blind studies to convince them of its benefits. Meanwhile, herbalists are using it in great quantities. St. John’s Wort is not a quick fix and must be taken over a period of time, likely a month or two, depending on the person. If you know that you are prone to this condition, especially during stressful times like the holidays, treat yourself to a tincture of St. John’s Wort. A good quality of St. John’s should be a red color, indicative that it is full of the beneficial hypericin. Ask at your local health food store for a high-quality brand. I like Gaia, which is available in any large store. It is an attractive plant, growing about 3 feet high along roadsides. The worse the conditions the better it grows. In the past in some parts of the country, cattle farmers tried to obliterate this “weed” as it took away grazing grass. It’s golden flowers when macerated into oil turn it a beautiful red color. The plant is prolific in the heat of the summer, late July and early August. Pinch the flowers between your fingers, if they turn red you can be sure it is St. John’s. 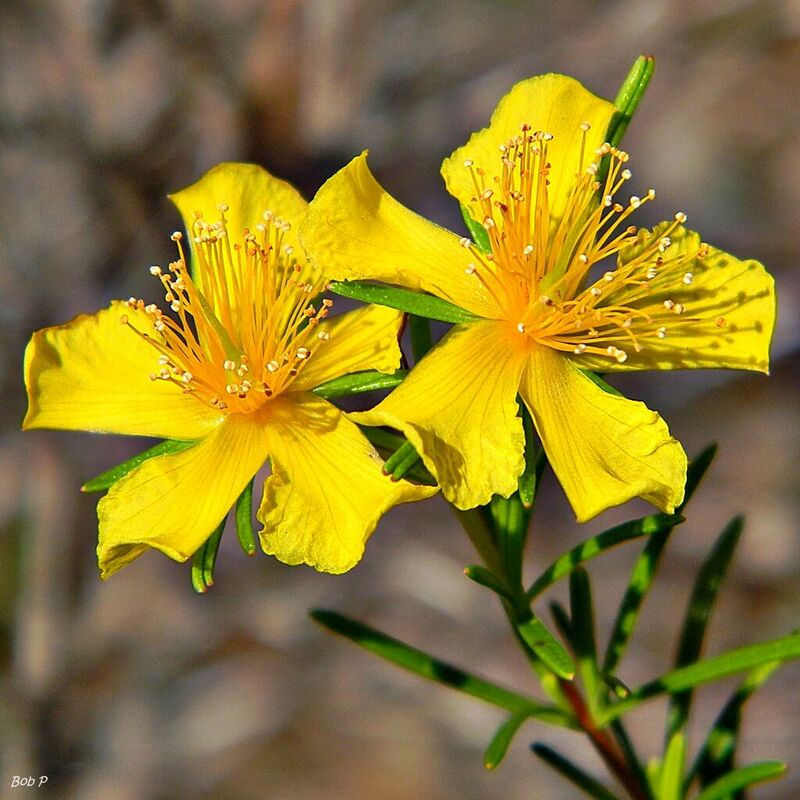 As well as the medicinal plant, there are other species of Hypericum, which make a lovely ground cover, but do not yield the medicinal benefits. As with all medicinal plants, we must use them with respect and caution. If you are in the sun a lot, use St. John’s with caution as it can cause photosensitivity. If you suffer from Manic Depression, St. John’s Wort may or may not be the herb of choice for you. Consult a skilled herbalist or your doctor. Remember, that if a little is good, it does not necessarily mean a lot is better and all plants are not for everyone.